>> If someone has the most cost-effective solution for your needs, we will find and use it. >> Sometimes there is cheap or free software out there that can be re-written to meet your needs. >> CSoft has already created many applications for common functions you may require. >>We have a brilliant team of programmers ready to create your custom solution. Our team develops applications that are based upon both CSoft and open source technologies, insuring the widest applicability and support. Dynamic content supported by database back-ends is rendered in PHP with MySQL server behind. Web applications leverage AJAX techniques to make for better responsiveness and overall user experience. When coupled with responsive designs, such methods allow users to enjoy the full power of the application regardless of the platform chosen, (desktop, laptop, tablet or smart-phone). 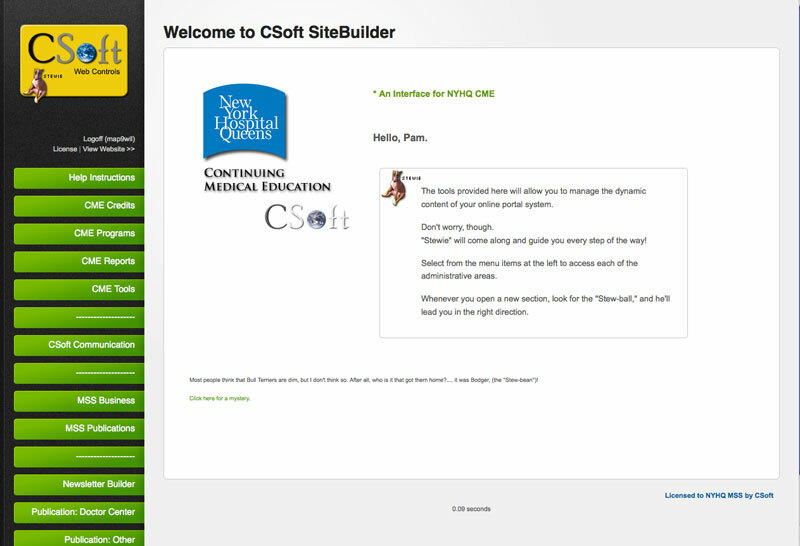 The code that forms the base for many of CSoft's development projects is known as "SiteBuilder." It is CSoft's proprietary content management system, and has been designed to allow for virtually any type of customization that your project could demand. With CSoft's SiteBuilder, sites can be created using any design features whatever, and any and all content can be brought under the control of the CMS. For each install, CSoft developers design the database and customize the interface to make the application responsive to the particular needs of the individual client, and help features are built into the administrative interface to assist non-technical users in their administration of content. Your needs may be entirely unique. If that is the case, CSoft can craft a unique solution. Our programmers have developed applications of myriad types and bring a wealth of knowledge and experience to your project. However, many of the application functions that website owners need can be acquired without the need for development "from the ground up." This is good for you, because it can limit both development time and development cost.